Landon is using Smore newsletters to spread the word online. Venezuela is a Spanish-speaking country in South America with a population of about 30,405,207 people.It borders Columbia, Brazil, Guyana, and the Caribbean Sea. It is a Federal Republic which is run by President Nicholas M. Moros. 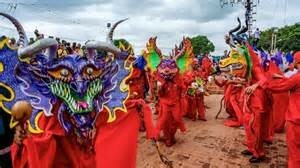 Venezuela is a country full of liveliness and culture. It is popular for its religious art, which typically is painted in historically and heroic ways. There is now a new blend of modern art now. Music in Venezuela is typically classical, and the national instrument is the cuatro. The two sports played in Venezuela are baseball and the newly growing popularity of soccer. There is also lots of traditions and festivals, including the Corpus Christi Festival. 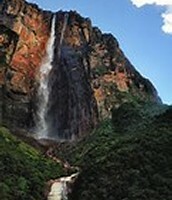 The large country of Venezuela is mainly a great scenic place. Some of the top 3 places to visit are Angel Falls, Margarita Island, and the Castle of La Asunción (Look below for images). 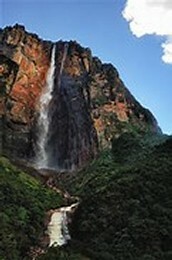 Angel falls are the tallest waterfalls in the world, and offer great views from both above and below. 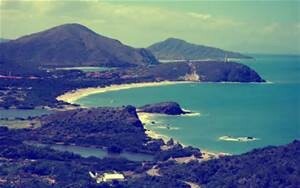 Margarita Island is the most popular place to visit; with very big white sand beaches with a great view, large nightlife, and is also known for its snorkeling. The Castle of La Asunción is a old castle enriched with history also offering great sights of Margarita Island; a place for history lovers!